Text 904FUN to 95577 for more info or click here for full details! Visit Ripley’s Believe It Or Not! 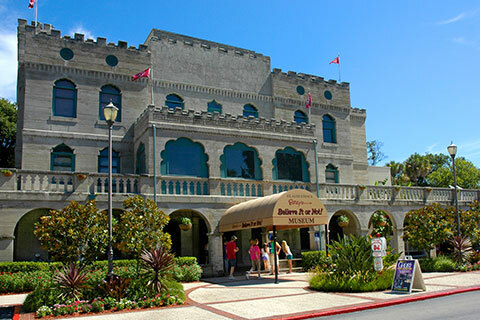 in St. Augustine and enjoy fun for the whole family! Visit Ripley’s first and oldest Believe It or Not! Odditorium with amazing exhibits, unusual art, unbelievable and genuine artifacts from around the globe. We have over 40 brand new exhibits, so come check us out! Welcome to Ripley’s Red Train Tours! 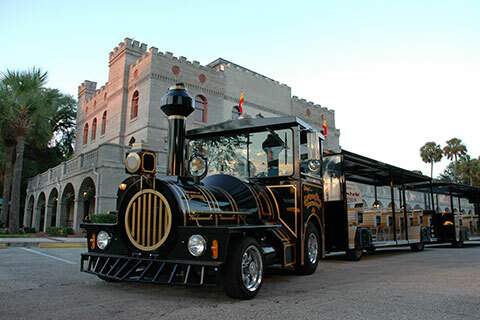 Since 1953, we’ve been St. Augustine’s ORIGINAL sightseeing train tour! Step off and re-board at your leisure at over 20 convenient stops for attractions, historic sites, restaurants, and shopping here in the “Nation’s Oldest City”. 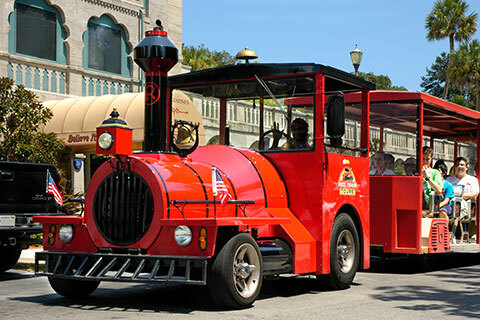 Ride the Red Trains and see all that St. Augustine has to offer! 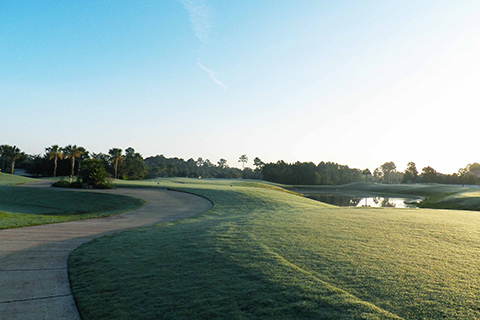 Royal St. Augustine Golf and Country Club is a challenging 6,529 yard, 18 hole public layout that meanders through lush foliage and exotic wetlands. Moguled fairways, sandy waste areas, well placed bunkers, numerous lakes and large greens are characteristic of this course. The course is par 71, with a slope of 137 from the tips. Beautifully manicured at all times, this course is fun for all ages and abilities. 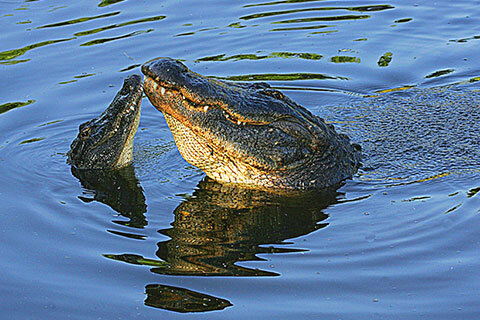 Established in 1893 as a small exhibition of Florida reptiles, the Alligator Farm now functions as a modern zoo with shows and exhibits that include a variety of wildlife including all 23 species of crocodilians, along with exotic birds, red-ruffed lemurs and Maximo – the zoo’s enormous 1,250-pound saltwater crocodile. 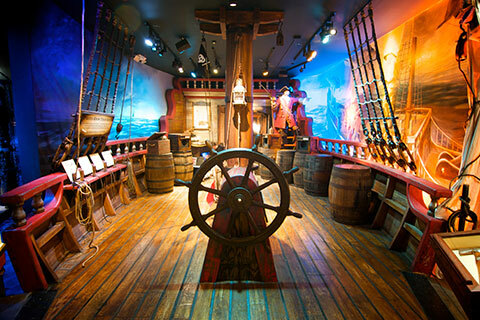 Xscape Our Rooms is a fun, interactive, kid friendly entertainment concept located in Saint Augustine, Florida. Our rooms are fully themed and designed to virtually transport you into another world! This is a real life adventure game designed for groups of friends, families, co-workers or complete strangers. 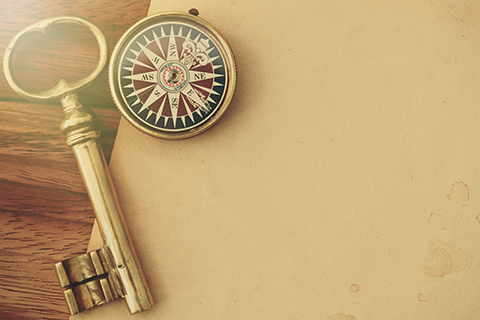 Find the hidden objects, figure out the clues and solve puzzles to earn your freedom and Xscape Our Rooms. 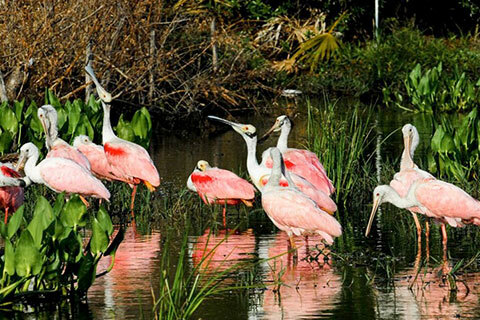 St. Augustine Eco Tours offers guided boat excursions on the inland waters surrounding historic St. Augustine. The Eco Explorer is a comfortable and dry custom made vessel for wildlife viewing and photography. If avid birders, we suggest a low tide trip time. 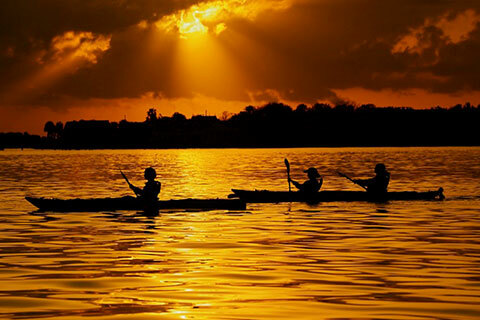 St. Augustine Eco Tours offers guided kayak tours on the inland waters surrounding historic St. Augustine. What better spot to experience the water in the way people did centuries ago. Experience the two-hour tour in tandem kayaks. Paddle included. No experience is neccessary!